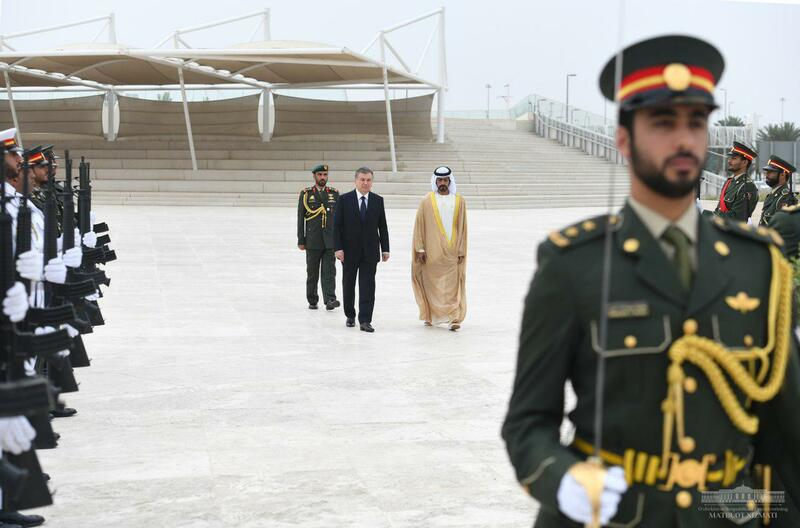 The main events of the official visit of the President of the Republic of Uzbekistan Shavkat Mirziyoyev to the United Arab Emirates began. 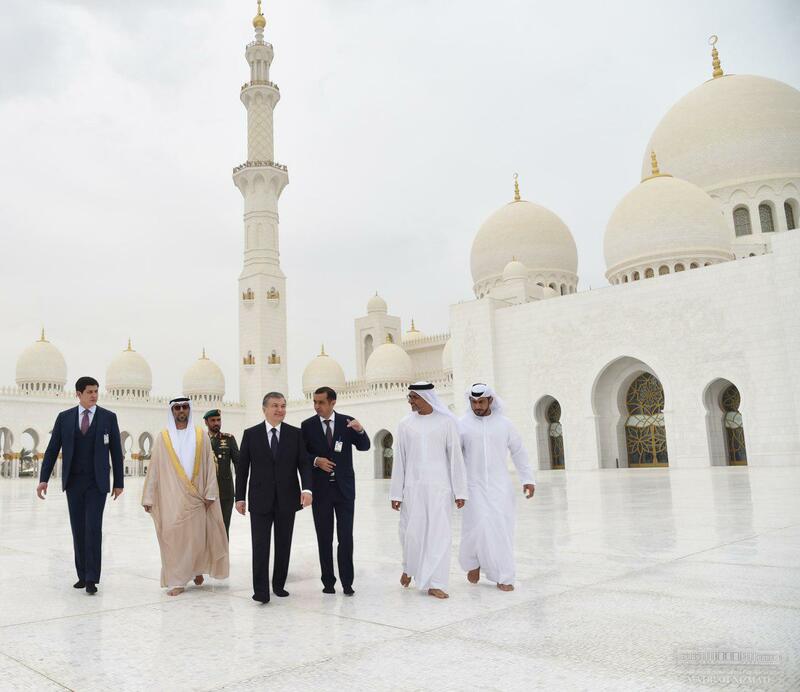 According to the tradition established in this country, the head of our state visited the mausoleum and mosque of Sheikh Zayed bin Sultan al Nahyan in Abu Dhabi. Sheikh Zayed bin Sultan al Nahyan, the first President of the United Arab Emirates, was buried next to the mosque he had built during his lifetime after his death in 2004. Today, the mosque and mausoleum are a place of worship for the population of the country and a destination that is certainly visited by the heads of foreign delegations. Sheikh Zayed mosque is one of the largest such buildings in the world. Its construction lasted from 1996 to 2007. Here can simultaneously perform prayer 40 thousand people. 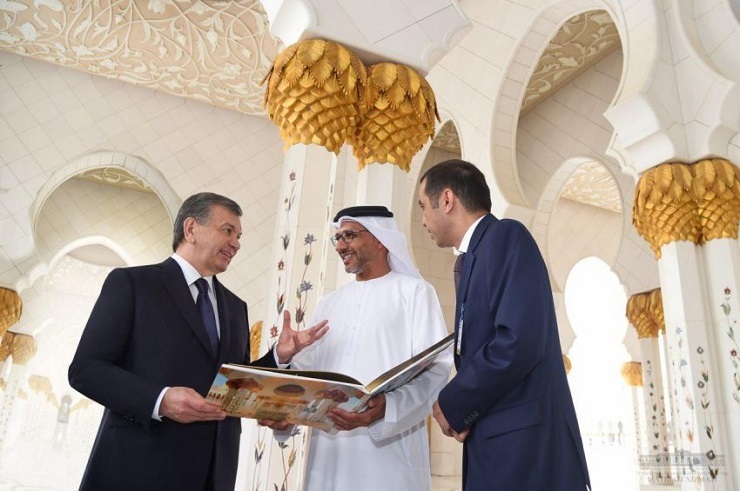 During the visit to the complex read surahs from the Koran in memory of Sheikh Zayed bin Sultan al Nahyan. The President was told about the history of the construction of the mosque, the features of its architecture, created conditions for tourists and pilgrims. 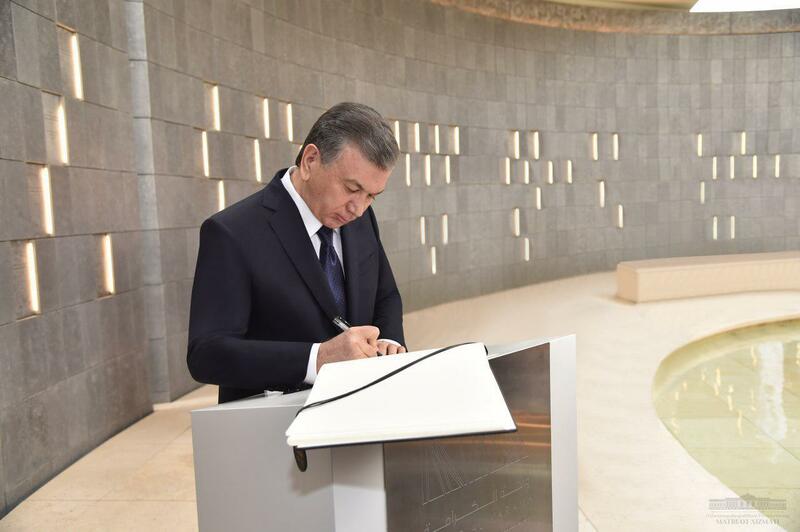 Shavkat Mirziyoyev signed the visitors ’ Book of the mausoleum. 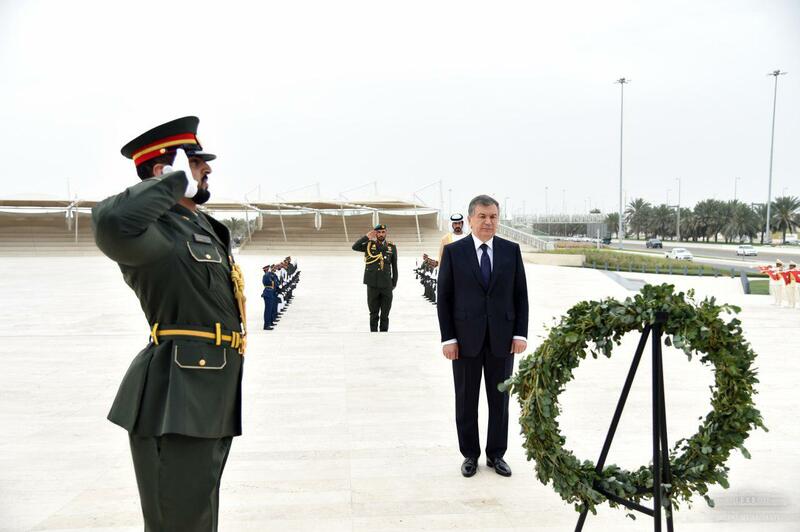 The President then laid a wreath at the Wahat al-qaram memorial. The memorial, whose name means "Oasis of dignity", was erected in honor of the fallen for the freedom and unity of the United Emirates. It includes 31 massive blocs, which are based on each other, symbolizing the unity, solidarity and mutual support that bind leaders, military and citizens. The head of our state left a note in the Book of honored guests of the memorial.